2.1 How to avoid getting cold? 2.2 How to protect yourself in the field from extreme cold? How to avoid getting cold? – Use appropriate clothing: Clothing is essential to protect the body against the cold. We need warm clothing to prevent body heat from being absorbed by a cooler atmosphere. The best way is to use cotton underwear and woolens over this. A good coat or anorak over a good wool sweater is required when the cold is high. Hands and feet are very susceptible to cooling. We will protect our hands with fur gloves. Even better, we can use mittens, in which all fingers except the thumb are loose. We must protect our feet with thick wool socks and appropriate boots. Similarly we must protect our cheeks and ears, two very sensitive areas. A good scarf, a balaclava and a hat can provide protection for those sensitive parts. It should be noted that it is very important that your blood can circulate well throughout the body. Tight clothing can impede circulation. It is best to use comfortable loose clothing in layers that can be added or removed in case we feel cold or heat. It is best to put on several layers than a thick single layer because warm air is stored between the layers which serves as thermal insulation. You should not wear very tight belts or even disregard them and replace them with braces. One way to promote circulation in your hands is to remove the ring or watch, especially if they fit you too tight. How to protect yourself in the field from extreme cold? – Avoid wet or damp clothes: Skin contact with wet clothes or shoes gets cold easily. Avoid getting wet or going outdoors with wet clothes or shoes when it’s cold. Wet hair should not be exposed to cold. Going outside with wet hair can facilitate the ears, nose or cheek freeze easily. Moreover, the overall body heat loss is great when we our head is wet. Hair should be thoroughly dried before exposing it to low temperatures. – Shelter from the wind: Wind increases the impact of cold on the body because it is able to eliminate body heat easily. Be extremely careful on windy days combined with very low temperatures. If we are outdoors, we must seek a sheltered place to avoid frostbite. – Avoid alcohol and tobacco: Alcohol and tobacco decrease peripheral circulation and therefore they make our members more liable to frostbite. Contrary to popular belief, a few drinks will not help us provide more heat but we can become cold more easily. – Eat hot meals: Hot meals and hot drinks provide warmth to your body. Eat a good hot soup or drink a glass of hot milk to prevent frostbite. – Help other people not to become frostbitten: Most people are not aware that they are getting cold. If we are with another person, we can see the changes occurring in the other person and this helps us prevent mutual harm. 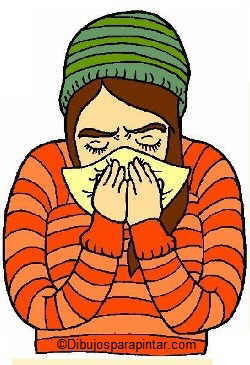 Among the most obvious signs showing that a person begins to be affected by cold is that her/his cheeks or nose take a pink shade. These are the first signs that tell us that we must protect ourselves from the cold to avoid frostbite. Symptoms are bleaching of the skin of the lips, cheeks, ears, nose or cheeks. More serious symptoms that indicate you are exposed to too low temperature are the presence of a thick skin without elasticity and very white color. In addition to the above advice, we should take into account a number of tips that can save us from frostbite when we lose ourselves in the mountains. – Protect yourself in an enclosed or sheltered place from the wind: If we get lost in the country, we should try to find a sheltered place to protect us from environmental humidity and wind. There is a belief that we must constantly move to avoid freezing. In many cases, people are frozen on the road without realizing it because cold produces a general numbness in which the individual does not become conscious of what’s going on. In case of finding a sheltered place (a cave wall, protruding rocks, etc.) we should seek any material that can serve as insulation from the ground. If the weather is cold, some dry branches may serve as bedding. We may collect other branches to place on top as a blanket. Being protected below and above, it is best to introduce our hands in the body, placing it under the armpits or between our thighs. We will fold our body in ball-shaped manner, our face pressed as possible to our chest and our feet covered by our bottom. It is important to note that low places are less suitable because they collect moisture and they are more likely to have more dangerous animals. It is best to seek a higher place where there is better ventilation but it must be protected from the wind. A simpler shelter can be made using a fallen log. We will take some tree branches and we will place them on one side of the log to build a sort of vegetal roof. We will cover the soil with other branches to protect from moisture. If there is a lot of snow, we can build a shelter in the snow. We will select a tree under which there is a good amount of snow. We will trace a circle under the snow and around the trunk. After removing the snow from inside the circle with the help of a stone or a branch, we will press the snow at the sides of the circle to prevent it from falling inside the circle. We will place a branch of another tree that can serve as a cover and, finally, we will coat the center of the circle with branches or dry grass. Most people are not so adventurous as to reach such extreme conditions as the above. However, it may be easier to remain in the road if the car breaks down and we can not return home. In this case, if the weather is very cold, it is better to stay inside the car than trying to move to seek for help . If we have fuel, we will leave the engine running with the heater on. If it’s too cold, we can protect the windows with seat covers, newspaper, carpet or what we could have at hand. Inside the car we should always carry a blanket. It will help us retain heat. It is also convenient to wear a tight box protected from moisture with some matches and a piece of flintstone in it. We may never need to use it, but with matches or with the flintstone, we can light a fire in a sheltered place that can protect us from cold. If we do not have any matches we have the opportunity to make a fire using petrol and the car battery. To do this, we will wet a gauze with gasoline and we will produce sparks bringing together the two terminals of the battery.